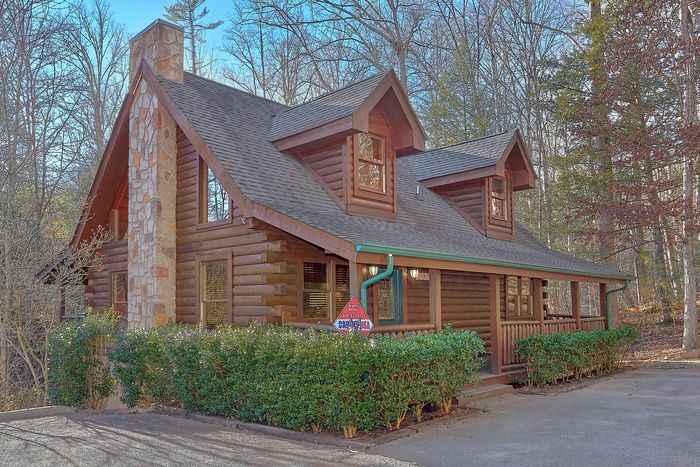 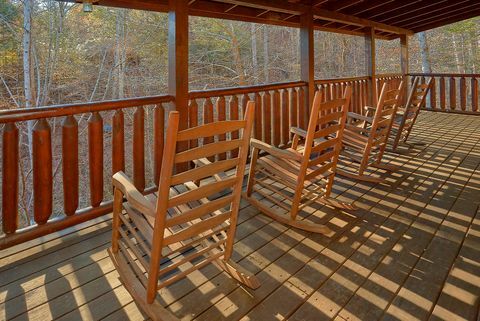 "Bear Play," a Mountain Park Resort cabin rental in Pigeon Forge, offers guests a prime location that's 5 minutes off the Pigeon Forge Parkway, where you and your family can enjoy some of the Smoky Mountain's most visited attractions! 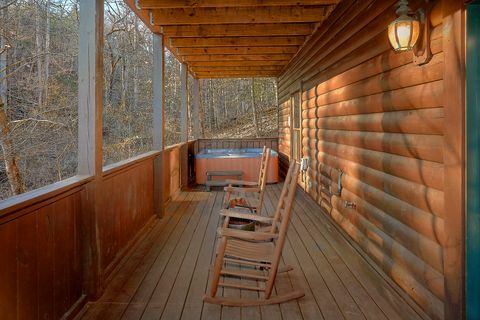 This Pigeon Forge cabin rental's resort location provides summertime fun at the resort swimming pool. 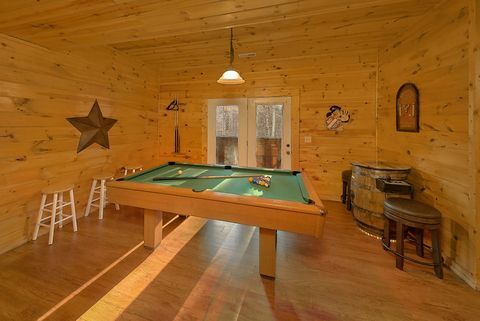 Back at the cabin, family members can continue the fun with games of pool on the full-size pool table while others relax in the bubbling hot tub. 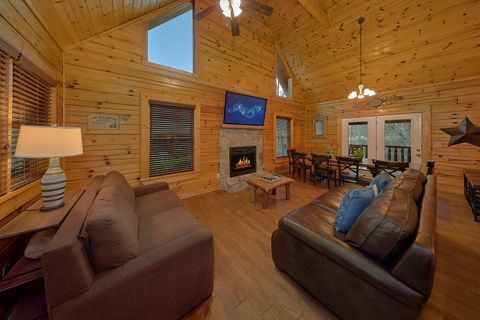 During the winter months, two gas log fireplaces invite guests to stay in with a mug of hot chocolate while they share stories around the warm glow of a fire. 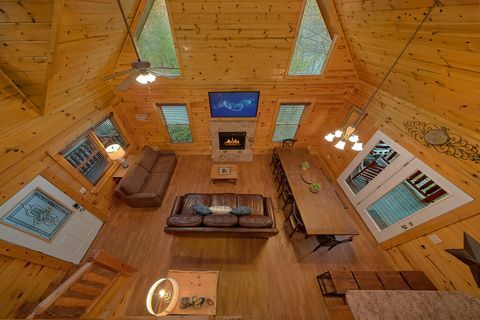 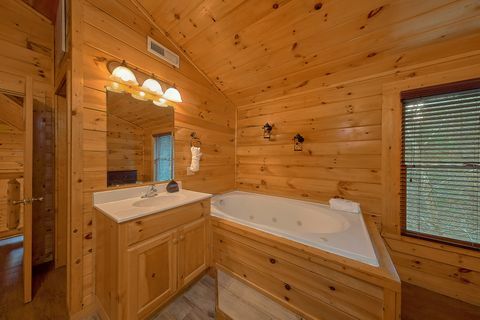 Post the perfect shot of your cozy night in at the cabin for everyone back home to see with this cabin's WIFI. 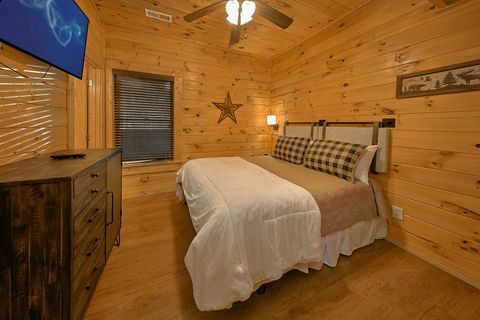 "Bear Play" cabin accommodates up to 12 guests. 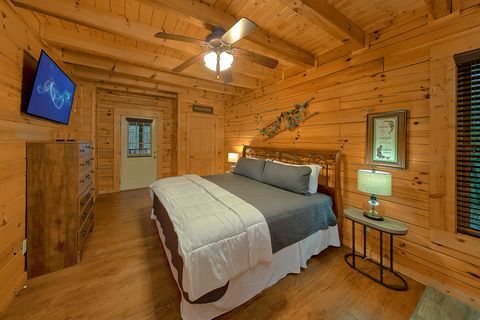 Each bedroom welcomes guests with country charm. 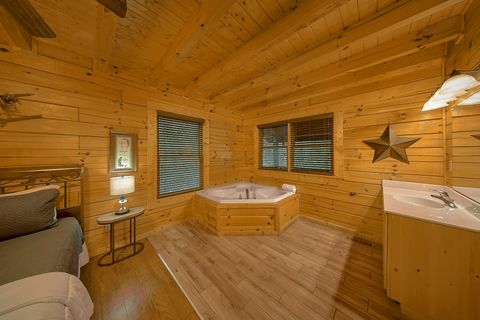 One master suite offers a king-size bed, fireplace, jacuzzi tub, and television. 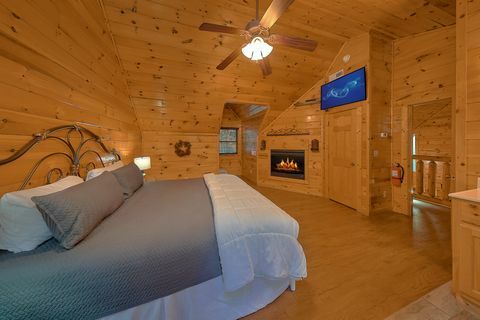 The other offers a king-size bed and television for private entertainment. 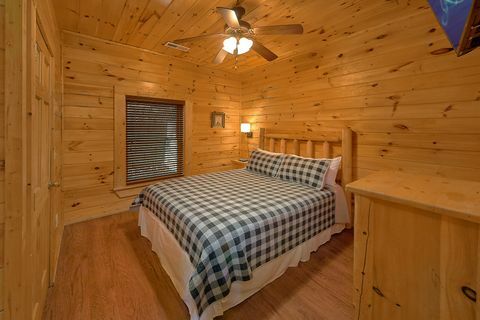 Each of the other two bedrooms offers a cozy queen bed to relax in. 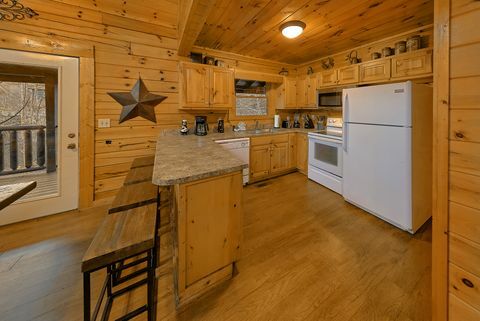 From snacks to holiday meals, this Smoky Mountains cabin's fully equipped kitchen and charcoal grill are ready to feed your appetite. 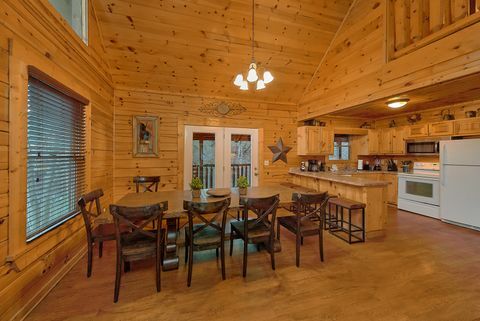 Visitors to this cabin in Mountain Park Resort have no need to pack a heavy suitcase with the in-cabin washer/dryer. 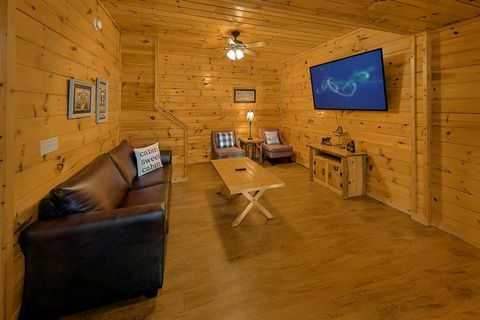 Start an exciting Smoky Mountains adventure when you book "Bear Play," your Mountain Park Resort cabin rental online with Cabins USA Gatlinburg and get immediate Online Savings!